Why an eight month guarantee? Many purchase their curriculum in the spring in order to use it the next fall. We want to allow enough time for the purchaser to get started using the curriculum. We fully expect you to enjoy and benefit from our products, however if for any reason you are not satisfied with the curriculum you purchased, we will refund your money in full up to eight months from the date of purchase. Please note: Shipping and Handling charges are not refundable. Return shipping costs will be the customer's responsibility. 1. Contact Exploration Education directly to return your product. 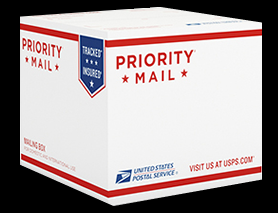 We will send you specific return instructions. Note: to expedite your return please gather all of the supplies, projects, and books that came with the curriculum to be ready to send back to Exploration Education.